McDonald’s overall aesthetics might have been a whole other thing if it had taken up this design proposal. Notable partner of design consultancy Pentagram, Michael Bierut, recently unearthed a series of 1973 prototypes from fellow design agency Unimark International, and ba-da-ba-ba-ba, Twitter’s creative professionals are lovin’ it. The visuals, now digitized by the Vignelli Center for Design Studies, were the end products of Unimark International’s comprehensive studies on McDonald’s stores at the time. The firm ran its research on everything, even interviewing the chain’s employees and customers, to revamp its packaging and overall appeal. 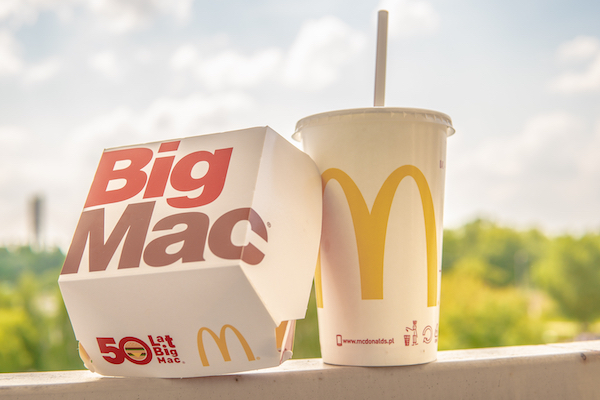 Unimark International gave McDonald’s an appetizing brown-and-cream palette, as well as reimagined its takeout packaging as a minimal white carrier. Food wrappers were patterned with a retro typeface, and they were structured rather than wholly malleable paper. Quite notably, the agency felt McDonald’s branding should not have appeared on its trash cans or on the doors of its restrooms, as it could really have left a bad taste in patrons’ mouths. It’s unclear if these ideas were pitched to McDonald’s, but oh, if only the restaurant had heeded this proposal.